My friend Dan calls from the middle of the country. He has a longish layover in (Minneapolis? Milwaukee? It began with an M) on his way to Europe. He’s been reading Charles Wright’s poetry and he has a question. Or is it an answer? We have been doing this for decades, learning from the knowledge each of us has of the realms we share. Every other Wednesday for 40 years Naomi & I meet for dinner and critique our poetry. We dive into the deep of each poem and wrestle with grammar on the surface. We have had similar themes throughout the years, and now, once again, our work has centered - on the Earth. Each of us has written about the other’s work, and we’ve read together. « Each other » becomes an I-and-Thou, a We, united by devotion to our work and love for each other. 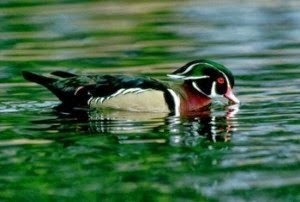 Patricia and I share a great love of animals, the wild, the carefully cultivated and we have shared those concerns as they appear in our lives and our work. We are environmentalists, in our own ways and our own words, and we have also read together. 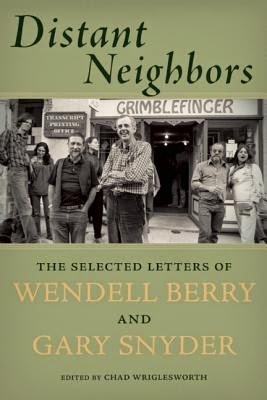 Which brings us to Distant Neighbors, Selected Letters of Gary Snyder and Wendell Berry, which focuses on just such a sharing - along with the ideas and insights of two men who will not let their often profound differences damage the love and respect they have for one another. That love and respect was very obvious in their recent reading together. 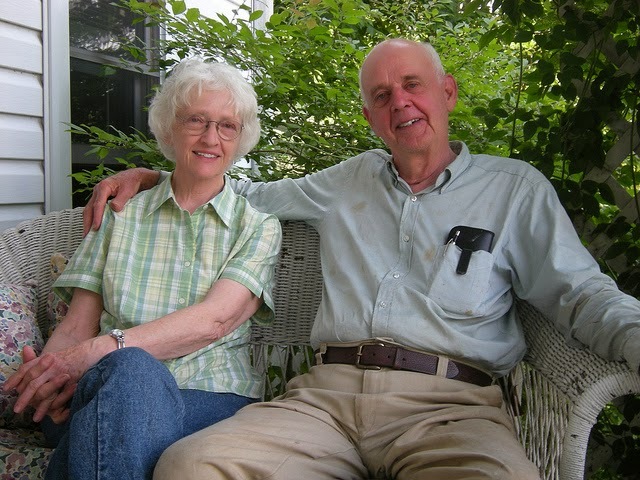 Wendell Berry is a Christian who refuses the authority of the church, a farmer who admires the tradition of English literature, mentioning Milton and Pope and Blake as his forebears - a man who takes his bible into the forest. 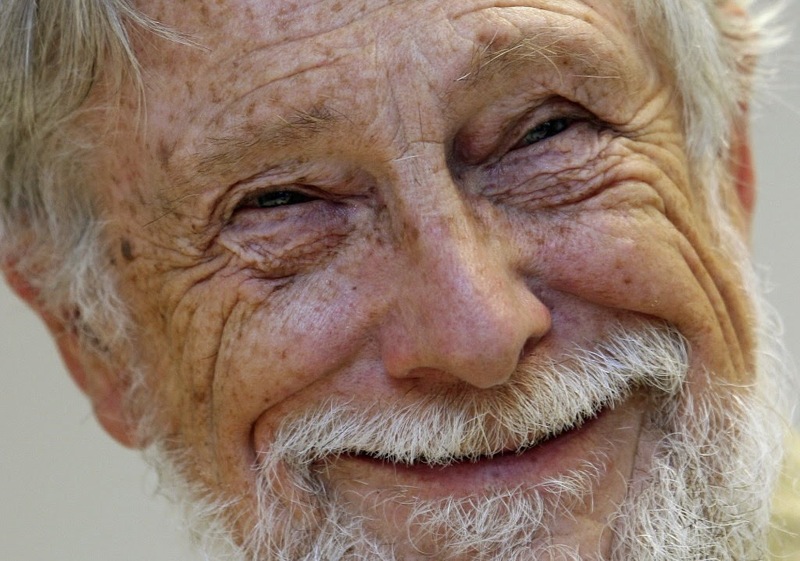 Gary Snyder is a Buddhist who admires the Old Ways, hunters and gatherers, and the poetry of China and Japan. For him the authority of Zen comes through a teacher. The way these two men address, resolve and accept their difference is a teaching in itself.
" Does my dead heifer go to heaven? Well, I’m not going where my heifer can’t go!" and the material are not bifurcated - they are one fabric. Berry - What kind of economy would cherish trees? 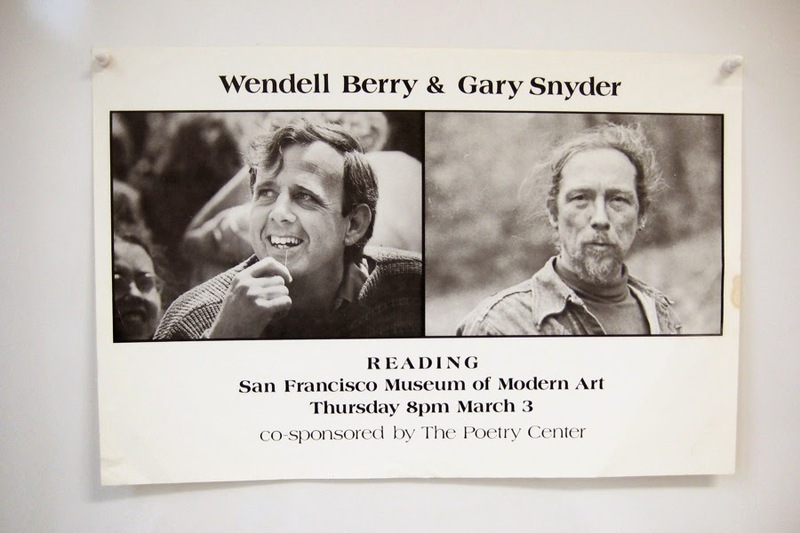 In their concern for the environment, and the actions that each took - the books and articles written, the panels they sat on, the conferences they attended, the protests they made, Snyder and Berry are our fore brothers. They sent letters. By mail. Even after email appeared. Are other writers still writing letters to each other? We email, skype, facebook, tweet, send photos that display what we wish to have known about ourselves and upload the antics of our babies and pets. Shall we have the collected tweets of future artists? The collected FB comments? Are you familiar with their poetry? When did I start reading Gary Snyder? Was the first book Earth House Hold? I loved the juxtaposition of Asian literature with the names of plants and animals and the titles of mountains and rivers, the Old Ways of making and being, his sons. The purely experiential, experimental, the sensory and the eternal. This sharing. Of words, of images, of music. How it endows us as humans.